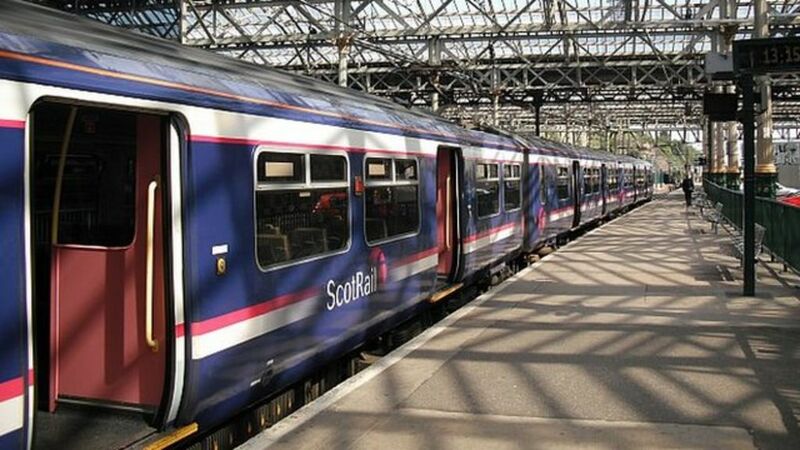 Rail services have been disrupted around Edinburgh after high temperatures on the track affected signalling equipment. Network Rail said temperatures on the tracks had reached 43C at Kincardine in Fife and they had also registered 38C to 40C on rails across the country. Rail services are disrupted around Edinburgh after high temperatures on the track affected signalling equipment. A random commuter study on the southbound platform at West Brompton on a hot day in July 2005. In sweltering heat the afternoon Fort William-Mossend freight crosses the River Leven just west of Dumbarton Central. On a glorious day in bright sunshine, K4 61994 The Great Marquess and 37676 Loch Rannoch haul The Cathedrals Explorer along the side of Loch Treig south of Tulloch on 8 May. Stob Coire Sgriodain (979 Metres) is the peak in the background.